By Doctors the VMA is referring to medical doctors – MDs and their international equivalents. Not ‘doctors’ of various other kinds, these being important to not confuse. The VMA wants everyone to have access to family medical doctor. A family doctor is a kind of general practitioner (GP) who offers ongoing care. You can learn more about the importance of having a family doctor at British Columbia’s “A GP For Me” website. Family doctors should be clear about your care options (1) after-hours and (2) when they are away. You can further expect that – whenever possible – they will provide coverage by a group partner GP or by a locum tenens and/or an after-hours service. Other GPs, including some family medical doctors, work in walk-in clinics which can offer wider hours. GPs together provide what is called first-level or primary care. You will find FAQs about how GPs work at “A GP For Me“. Other medical doctors are Specialists. Most require a referral from a GP or Emergency Physician before the Ministry of Health will cover the cost of your visit. Not everyone who goes by the name “Doctor” has a licence to practice medicine. 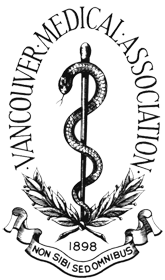 If you are in doubt, check with the College of Physicians and Surgeons of British Columbia. More information about how medical doctors work can be found under the College’s Frequently Asked Questions. Please call 911 or go directly to your nearest emergency department if you are in need of serious medical attention. This includes having chest pain, severe bleeding or stroke symptoms. You can find hospital locations here. If your condition is less urgent, you can check ED Wait Times for Lions Gate, St. Paul’s, Mount St Joseph’s, Vancouver General and Richmond hospitals. Finding a Family Doctor can sometimes be done through the recommendation of relatives or friends. Go to the College of Physicians and Surgeons of BC search page, click the selector to “Family Physicians”, set the pop-up to “Accepting new patients” and narrow by “City”. If you find that the doctors listed are not actually accepting new patients, send us a message using our web form and we’ll try to get the listing updated. Choose a “hybrid” walk-in clinic that gives the option of appointments with one of their doctors and a waiting list for this option. Ask to be added and, where possible, attend the clinic on shifts when he or she is working. Getting your care in the same place will allow the “doctor of the day” to access and review your earlier visits and results. Persons with severe or multiple health conditions can be priority-listed for a Vancouver Community Primary Care Clinic. Phone Vancouver Community Central Intake at 604-263-7377 to learn about accessing these services. Their phone queue has long waits, so leave them your phone number to be called back. Based on the street address or postal code where you are living, residents of Vancouver, Richmond and North Vancouver can look up the Primary Clinic boundary here. Doctors can help by completing and faxing in this form for you. Create pressure on your politicians and doctors for better care. Tell us about your Vancouver care experiences. Nominate a doctor (or office) for recognition. Learn about the VMA’s priorities. Subscribe to our low-volume Twitter feed. For your own general health advice, you can call HealthLinkBC’s toll-free number 8-1-1 to be connected to nurses (24 hours), dieticians (weekdays), and pharmacists (after-hours). The hearing-impaired can dial 7-1-1.
and they offer a BC Health Service Locator App that you can download.